So red squirrels are pretty darn cute, but unfortunately they’re not doing so well in Scotland anymore. There’s now only 120,00 left (75% of the UKs population), it was estimated that there used to be 3.5 million. Why such the drop? Well, they got heavily bullied by the larger, non-native gray squirrels out of their territories, then they started catching squirrel pox (thought to be brought in by the grays who aren’t even affected by it), and now cases of leprosy is spreading! Yikes, poor guys. 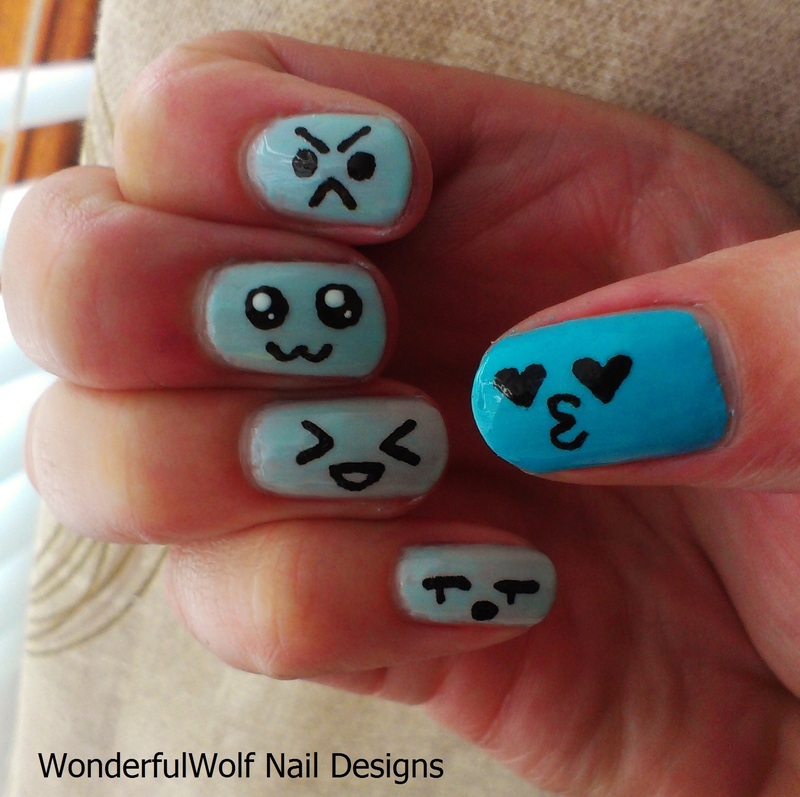 For this design, I used the fish scale stencils that I received for review from Born Pretty Store – which you can find here. I thought that the pattern they left behind sort of resembled pinecones? So I have a few momiji dolls that I have received over the years (birthdays, graduation, christmas etc) and I think they’re super cute. 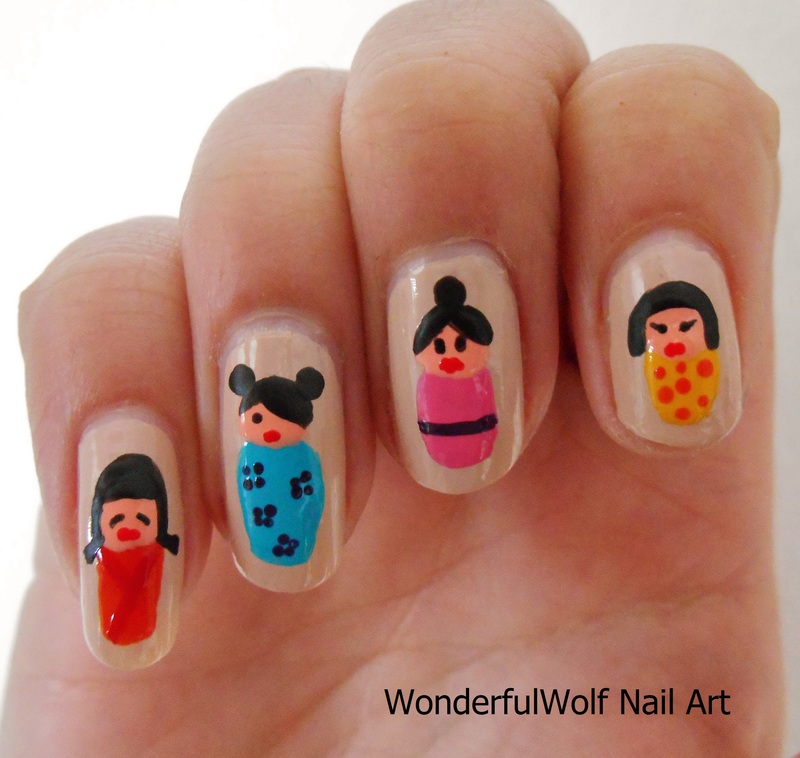 I decided to turn them into nail art, in the same kind of style as my babushka nails. I absolutely love my ring finger doll, that wee blue one is totally the best of the bunch! 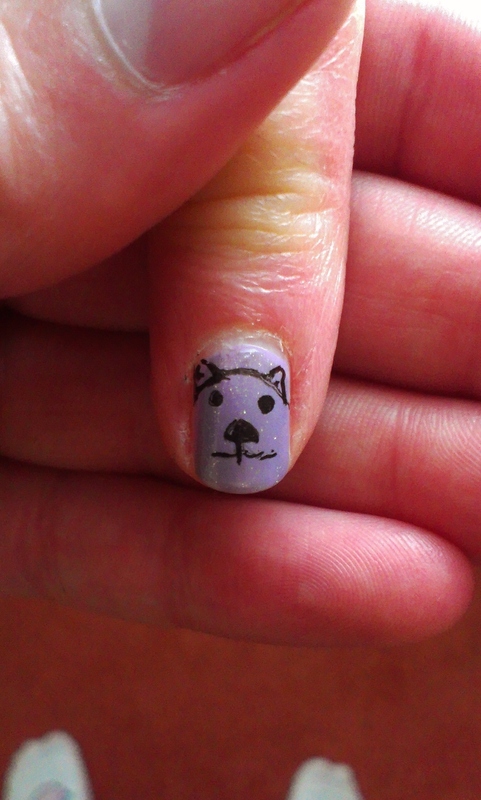 The Barry M nail art pen I bought has actually changed my nail art life (and I know I keep going on about it, sorry). It’s so good to use. I was in a kind of ‘I want to do something cute’ mood, so did this! I’ve never done a sidey ways design. Hope you like it! UPDATE: So I thought my mum had drawn a pretty good looking bear for the level or artistic skill she has, until she told me it was meant to be a guineapig….. oh dear….